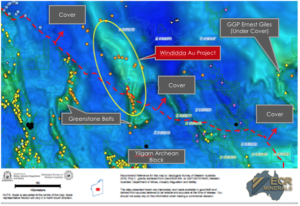 ECR Minerals plc (LON:ECR), the precious metals exploration and development company, is pleased to announce the Company has commenced processing and interpretation of airborne and ground geophysics in respect of the Company’s 100% owned Windidda gold project (the “Project”) in Western Australia. The processing and interpretation of airborne and ground geophysics is an important element in the determination of high profile drill targets, expected to be amenable to cost effective air core drilling enabling the rapid assessment of the potential for gold mineralisation. 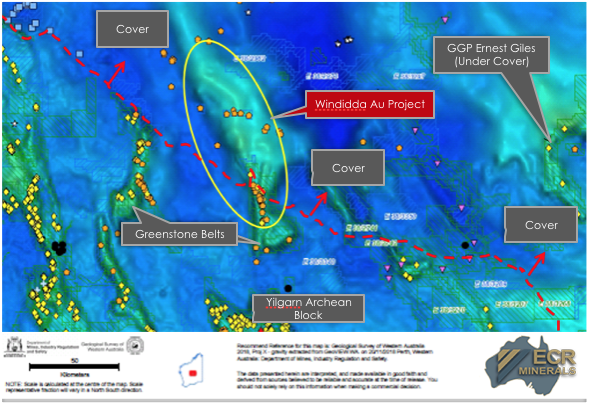 Craig Brown, Chief Executive Officer commented: “I am pleased to announce that we have launched the next crucial stage in the development of our understanding of scale of the Windidda gold project. The work being undertaken will greatly assist our understanding of the Project and help us to focus on the higher profile target areas for follow up drilling. Information disclosed in this announcement has been reviewed by Samuel Garrett Non-executive Director of ECR Minerals and a Competent Person within the meaning of Australasian Code for Reporting of Exploration Results, Mineral Resources and Ore Reserves (the JORC Code) and for the purposes of the AIM Rules. Mr Garrett holds a BSc (Hons) in Geology and an MSc in Economic Geology from the University of Tasmania. He is a member of the Australian Institute of Geoscientists and a member of the Society of Economic Geologists (USA).